Um, construction guys, we hate to break it to you, but it looks like when you were putting in the gymnastics rings for when Concord hosts the 20-whatever summer Olympics thanks to its revitalized downtown, you put them in upside down. Also, nobody has three arms. Signed, management. That’s a joke, of course (complete list of things that would be worse than having the Olympics in Concord: full-body poison ivy). 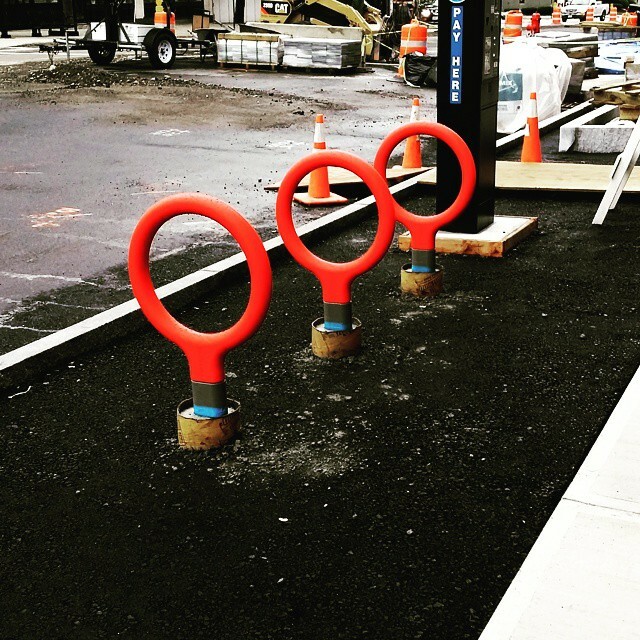 These are actually the swanky new bike racks that are part of the Main Street redesign project. Pretty sweet, eh? It’s what we like to call a Scwhinn Schwinn. (That was terrible, sorry.) Thanks to Instagram user @mcashion for taking the photo!